During my last trip to San Francisco, I had the opportunity to take a few photos at the blue hour in San Francisco before heading out on a road trip to Seattle, Wa. 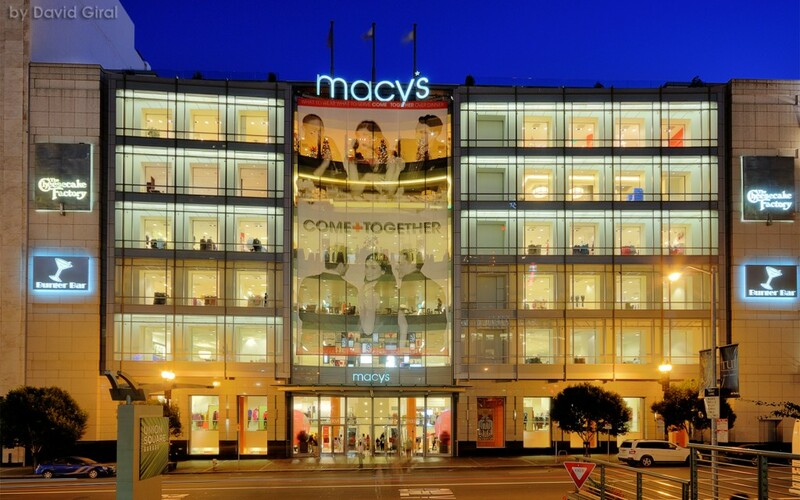 The photo above was taken at Union Square and pictures the amazing facade of Macy’s store along Geary Street. The three photos used were taken at 13mm with a Sigma 10-20mm lens mounted on a D300 and a Gitzo tripod. Exposures ranged from 1.6, 0.8 and 6s. 3- Blend the photos together via layers. Is it just me or is there no sound on the “how to” clip?